When you’re a mom more often than not, getting your nails done is a luxury. I personally don’t get my nails done regularly because being a hands-on mama literally requires me to use my hands frequently. And I cannot really afford to have my nails done only to have it ruined when I do the laundry, cook meals or bathe my kids or sometimes even before I step out of the nail salon. Yep. the struggle is reaaaaaal. 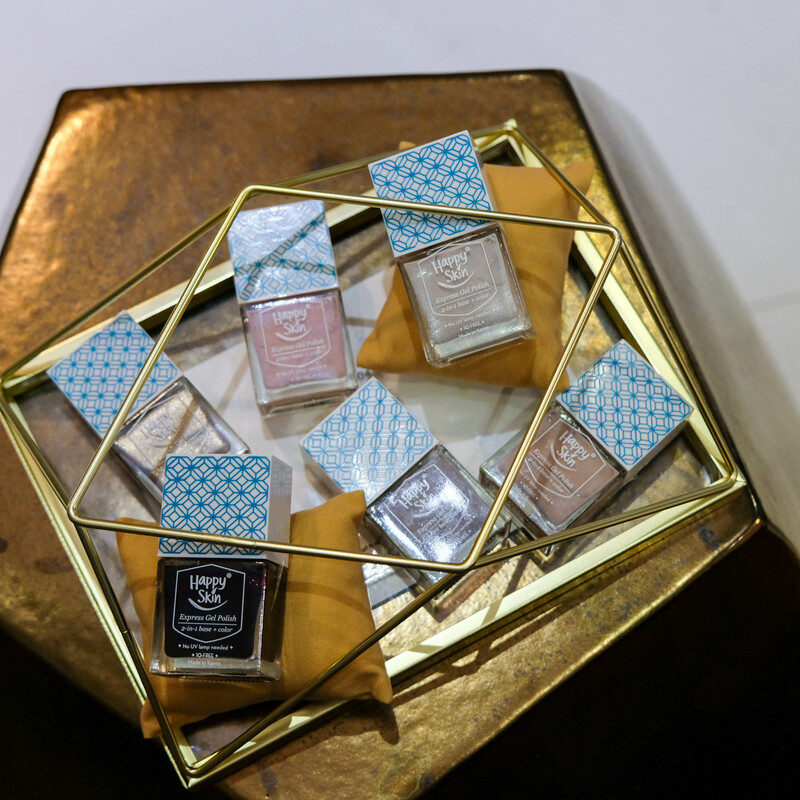 So when Happy Skin finally introduced their first ever nail polish collection, I was intrigued and super curious to find out what they offer. 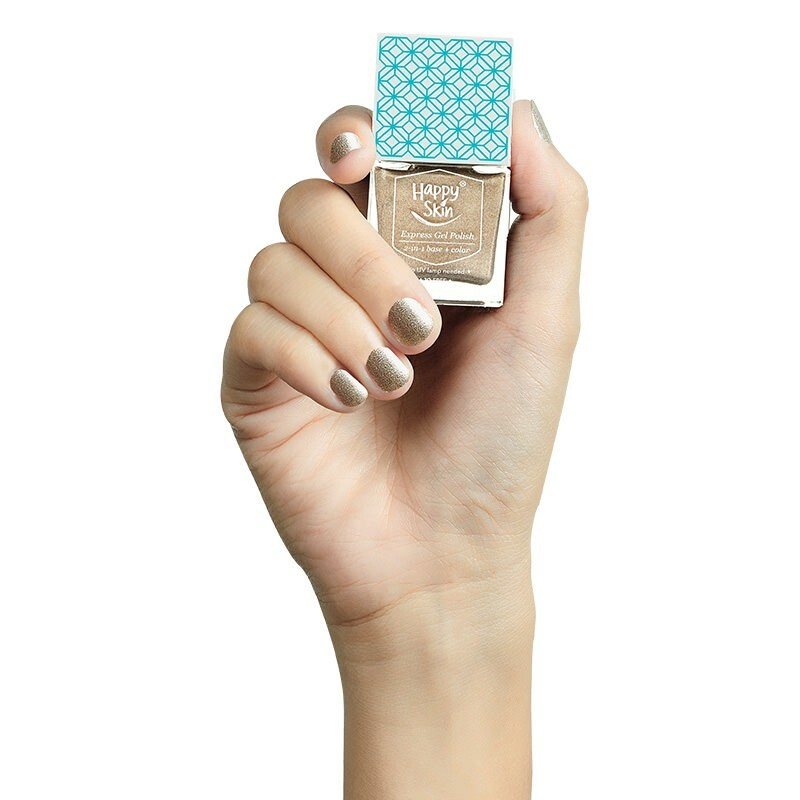 Not just your ordinary nail polish. These Happy Skin Express Gel Polish is chip-resistant and long wearing. And yes, they’re gel polish that cures on natural light (aka sunlight) and needs no UV lamp. Happy Skin’s first nail polish collection is made up of six lovely shades and a mirror shine top coat. 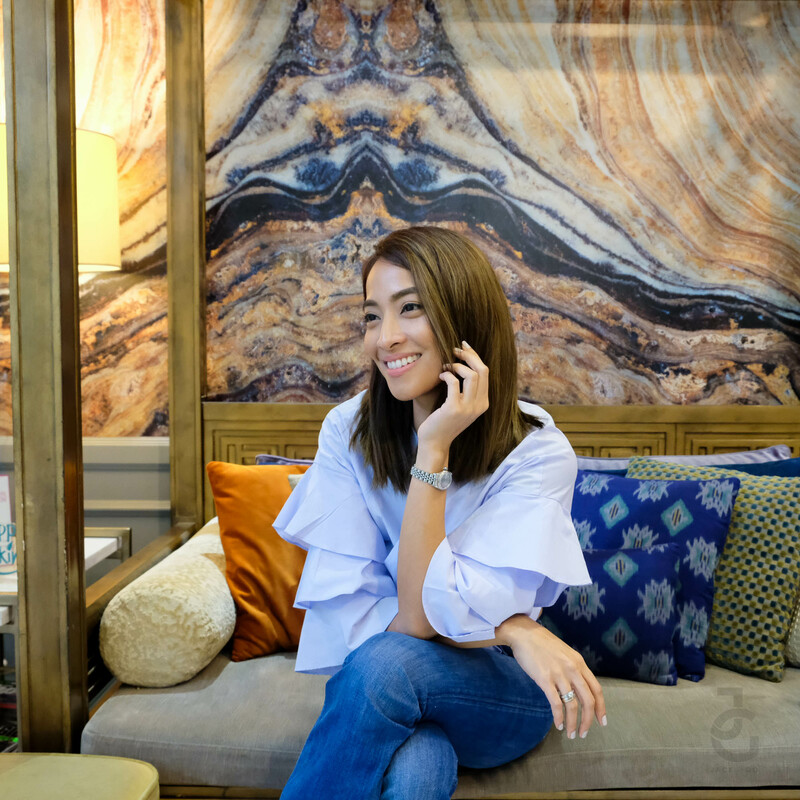 According to founder Rissa Mananquil-Trillo, it took them a while to find the perfect formula for their first ever nail polish collection because they want it to be as nail-friendly as possible. It’s 10-free–meaning free from the top 10 toxic ingredients: Toulene, DPB, Parabens, Camphor, Formaldehyde Resin, Xylene, Ethyl Tosylamide, Acetone, Lead, Animal Ingredients and has Hydrolyzed Keratin that helps make nails stronger & Almond Oil that helps nourish it. The intimate launch was set at Maison Spa in Rockwell. Sitting across me were Tricia Gosingtian & Farrah Espina. My seat mate, Shen of Shen’s Addiction. 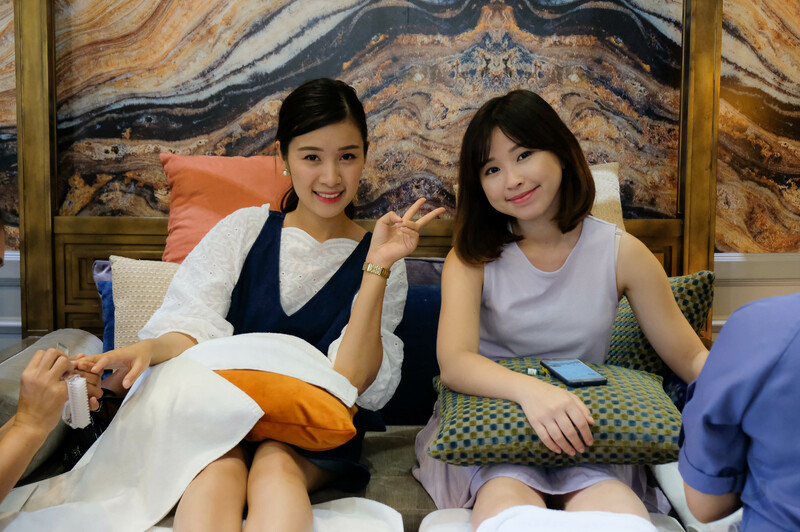 We were busy talking about motherhood and beauty all while getting our nails done. You can clearly say that we were on a mommy day off! One of the struggles we women face is choosing a nail polish no? Hahahay! Every. Single. Time. And I thought having only six options to choose from made it easier for me but in the end it wasn’t. I had a hard time picking what I want simply because all six shades of Happy Skin Express Gel Polish is lovely. Another thing that Happy Skin co-founder Jacqe Gutierrez made sure of is their nail polish shades work across all skin tones. I’ve always been partial to clean looking nails for my hands yet there are times that I wanna go dark. But during the launch, I picked Dreamer–a light dove grey shade–simply because I love wearing white nails and this is the closest to it. A few minutes after my nail tech applied the polish, Rissa dared me to touch my nails. Super funny coz I was so scared I’d ruin it yet I took the dare anyway. 15 minutes after my nail tech applied the Mirror-Shine Top Coat and it’s dry! ANG GALING, OMG!!! Happy Skin Express Gel Polish retails for Php 249/bottle and is available online at www.happyskincosmetics.com and soon at all Happy Skin stores.